Rise from the Grave is the next MTG card. This being a uncommon card, and what the sorcery can do, makes it a powerful card, but it is black, and my first M13 centered deck will most likely be White-Green with maybe a touch of Red, so this card is out for now. War Priest of Thune is the next Magic: The Gathering card I pulled from the 6 card booster pack. Of course, this may have been the 3rd or forth card in order in the pack, but since this is the first M2013 pack I opened up I already put them cards into my Ultra-Pro rind binder sleeves, so this makes this the second card in my M2013 collection. This is an alright card, and I may try to put two of them into my deck. We shall see if this card has any value with my other cards. This is one of the cards I got out of my recent 6 card booster pack I got at Wally World. Being that it is a common card, and has Lifelink, I think I will try to acquire four of these and put them in my deck. Combined with some of the other abilities of some of the cards I’m thinking of using would make this an excellent addition. We’ll see if I can buy any of these in the local stores. Well, Magic 2013, also referred to M2013 or M13, has been released. Yay. I decided a few weeks ago that I wanted to resume playing Magic: The Gathering (MTG), and what better way than to return to the game right when a new core set (ad link) comes out. Anyway, I bought a 6 card booster packet, and in the next few posts I will introduce the cards and talk about each one of them a little, provide a picture to the card, and wether or not I will be using this card in my deck. 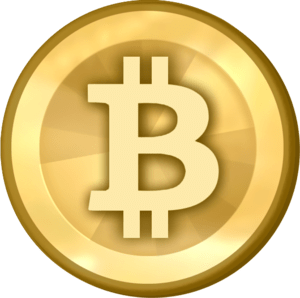 I have been semi-active in the BitCoin world for some time now, and I of course try to get some free BitCoin when I can, but I recently found a site called CoinURL that allows you to shorten links on web sites and social media (like the short links we all see on twitter and G+ a lot), and earn small amount of BitCoin in the process. So, for example, the shortcut to this blog is http://cur.lv/25bo which takes you to a CoinURL ad page where you either wait for 15 seconds or click on the “Skip AD” button, and then it redirects you to the home page of my blog (or whatever page link you clicked on). I will most likely use this for items where I have spent some time researching the subject matter, and I will give you the option to link directly to the content or help me montetize this blog by clicking on the CoinURL link instead. Well, I came across a post on Google+ that Dropbox is raising their paid-for storage limits for their cloud drive. I didn’t think I would use their service, but read up on the article, and then went to their website, and they offer 2GB of free cloud storage, and with referrals, up to 18GB free space. I posted on Google+ asking for referrals, and if I get a referral offered, in the next 2-3 days, I will sign up and see how well it works. I will follow up and let you know with a new post on this blog. Well, Richard Branson has done it again, he’s now officially in the banking business, having opened his first Virgin branded bank store. All I can say, I’m not too worried about Virgin, I just wished I had even 10% of the business prowess that Richard Branson has. Just because we share the same first name doesn’t mean anything. If I were in his shoes, I don’t know if I would have been able to grow a business like his. Impressive and scary at the same time.